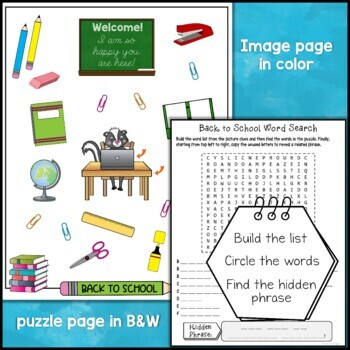 Do your students love word search puzzles, but you wish they were doing more than just circling words? 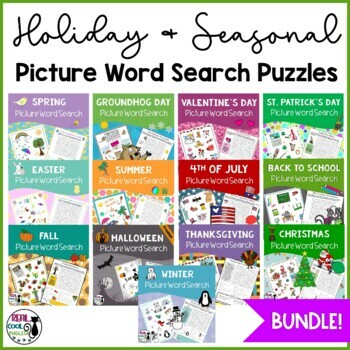 With these fun holiday and seasonal puzzles, your students will first build the list from picture clues, and then find the words in the puzzle. Most puzzles have a hidden message; leftover letters will reveal a phrase related to the holiday or season. This is a great way to reinforce vocabulary and spelling. Also perfect for ESL! 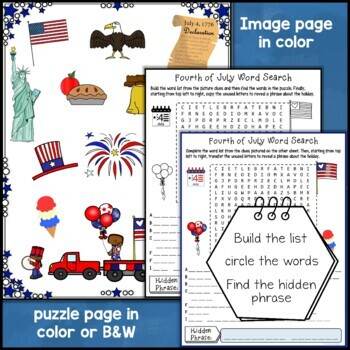 ➤➤➤ If you enjoy using games and puzzles in your classroom, consider purchasing Word Games and Puzzles Growing Bundle and save!